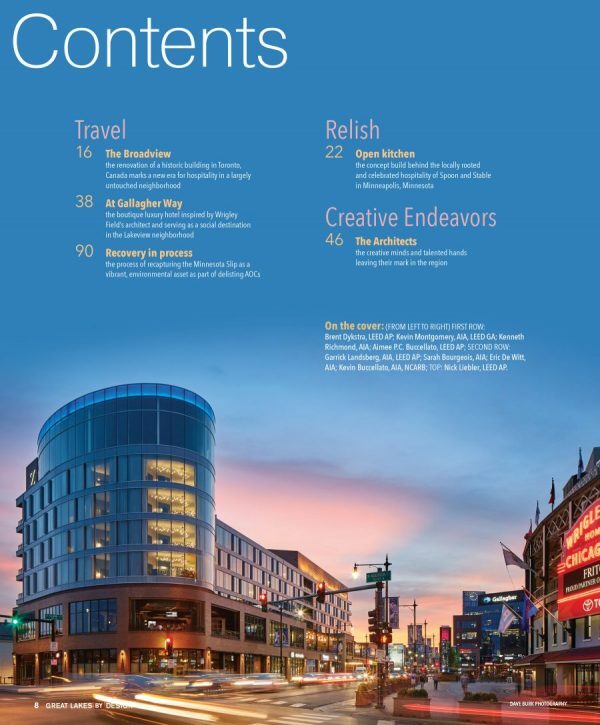 On the cover: (from left to right) first row: Brent Dykstra, LEED AP; Kevin Montgomery, AIA, LEED GA; Kenneth Richmond, AIA; Aimee P.C. 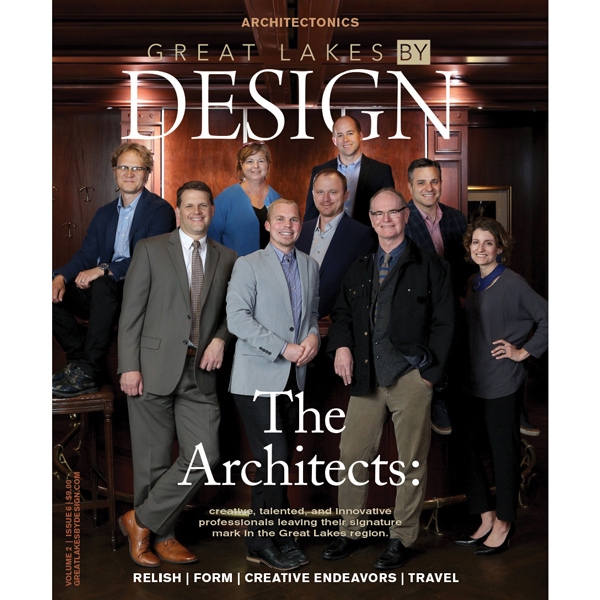 Buccellato, LEED AP; second row: Garrick Landsberg, AIA, LEED AP; Sarah Bourgeois, AIA; Eric De Witt, AIA; Kevin Buccellato, AIA, NCARB; top: Nick Liebler, LEED AP. 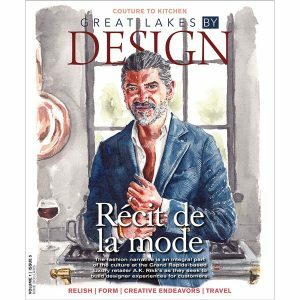 Great Lakes By Design Magazine is a bi-monthly design publication highlighting the arts, the destinations, the fashion, the products, and the people behind them throughout Michigan, Chicago, and Indianapolis. 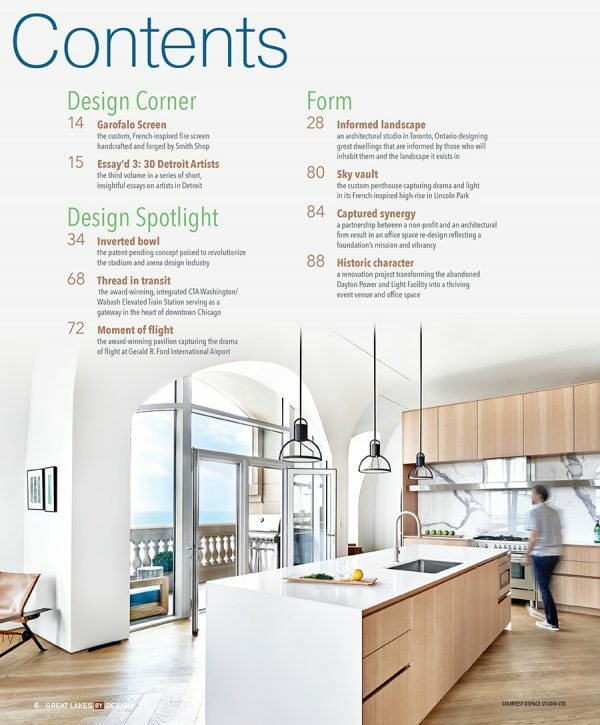 Our team seeks to create a sophisticated and insightful publication offering a unique perspective into the world of design. 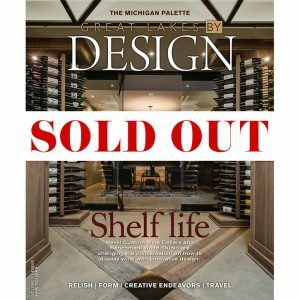 Through well-written features, distinctive composition, and captivating photography, Great Lakes By Design explores the many elements of composition, form, and structure comprising the places, products, and services that truly create a memorable experience for others. 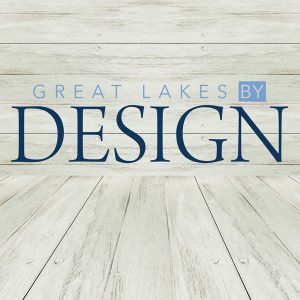 With an eye on design and a passion for sharing the stories driving the latest products and projects, Great Lakes By Design invites the design aficionado, enthusiast, and neophyte alike to share in the exploration. 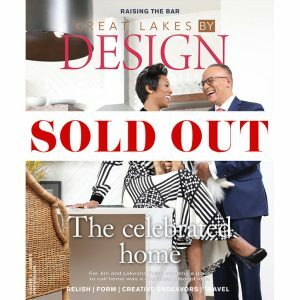 Your information will never be shared, sold, leased or used for any purposes other than to alert you to updates on your order or Great Lakes By Design website. You do agree to receive emails from SVK on a regular basis with updates, news, and information with regards to our products.